Unlike gum grafting surgery, the Chao Pinhole® Surgical Technique utilizes the healthy gum tissue that exists at the site of your gum recession. Our in-house periodontist can create a small opening near the tooth that needs treatment, and use a special tool to loosen the connective tissue that holds your gums in place. She can then re-position the tissue until the exposed tooth root is covered. A bit of collagen is placed at the treatment site to maintain the new position of your gum line while the tissue reattaches. This receding gum treatment can be performed in a single session, restoring healthy gum lines to a single tooth or multiple teeth with little to no downtime. Bronte Village Dental offers the Chao Pinhole Surgical Technique which corrects your receding gums without the discomfort associated with traditional gum surgery. Gum recession is most often the result of periodontal disease, though there are many other contributing factors, such as aggressive brushing, smoking, grinding, orthodontic treatment, and/or a misaligned bite. In some cases, gum recession may be so advanced that you are able to see a distinct colour difference between the enamel and root surfaces. To restore your smile without traditional surgery or sutures, schedule a consultation to see if you are a candidate for the Chao Pinhole Surgical Technique (PST™) right here in Oakville at Bronte Village Dental! 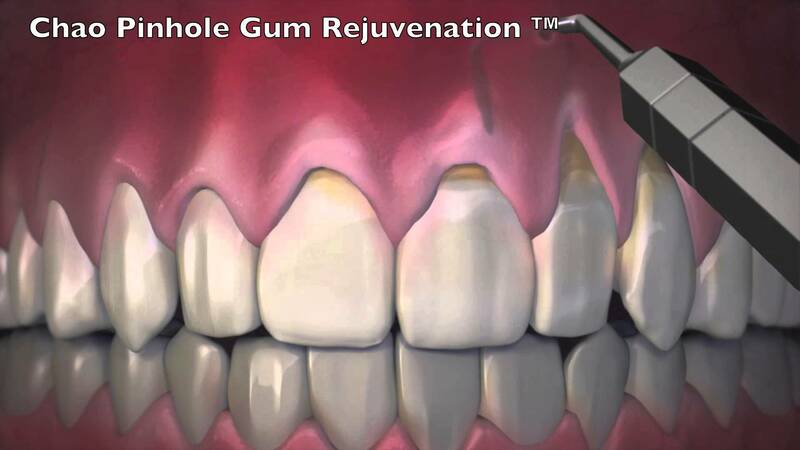 With gum grafting surgery, tissue is collected from the palate and then transferred to the site of your gum recession. This process requires two surgical sites, at minimum, and will limit the amount of teeth that may be treated in one visit. This is not the case with the Chao Pinhole Surgical Technique, which does not require grafting tissue from one area to another. Ready To Restore Your Smile To It’s Natural Beauty? At Bronte Village Dental we will work with you to create the smile of your dreams. We create personalized plans for our patients so they receive the results they are looking for. Call us today or request your appointment here!